Dinu Patriciu was bornon August 03, 1950 in Romania. Dinu Patriciu has been investing cash from the 2008 sale of his oil company, Rompetrol, to Kazakhstan's state-owned energy operator, Kazmunaigaz, in real estate, retail and oil and gas exploration. His retail efforts are faltering; in February, his MiniMax Discount filed for bankruptcy and his Mic. ro stores are rumored to be sold off to 7-Eleven. Patriciu himself has warned that Europe might be headed for a second recession. Nevertheless, Patriciu is committed to his energy project, reportedly planning to spend up to $1 billion to look for Black Sea oil and gas. 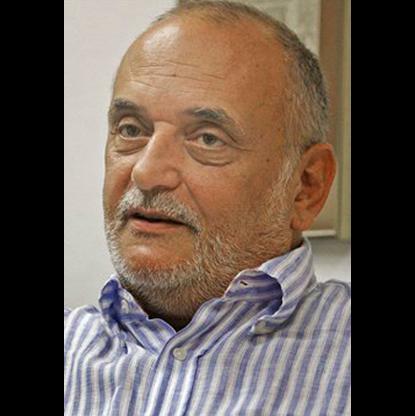 He also owns Adevarul Holding which publishes Forbes Romania under license from Forbes Media LLC. In 1990, he founded the first private company in Romania, "Alpha", having architecture and constructions activities. The following year, Patriciu&apos;s company began buying land in a northern district of Bucharest in order to build an apartment complex. A couple of octogenarians initially refused to sell, before reaching an agreement. Short time after this, the old man died and his wife disappeared, police being informed of this disappearance by a Business associate of Patriciu. Not long after, the house was demolished and the land was taken over. Accused by the press of involvement in a murder, Patriciu denied any involvement and claimed that her death delayed the project. 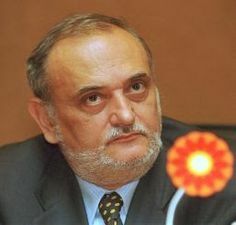 Patriciu was an unsuccessful candidate for Mayor of Bucharest in the Romanian local election, 1996. In 1998, he bought from the Romanian government the oil company Rompetrol. A year later, the company took over the Vega Ploiești oil refinery. In the same year, the headquarters of the company was moved to the Netherlands. In 2000, Rompetrol took over Petros, Romania&apos;s only oil well services company at the time, renaming it Rompetrol Well Services. In 2001, Petromidia Năvodari, the largest refinery in Romania was sold to Rompetrol for $50 million. The Directorate for the Investigation of Organised Crime and Terrorism (DIICOT) sent the case to court, being accused of seven felonies: embezzlement, money laundering, conspiracy, market manipulation, disclosure of privileged information and initiation or establishment of an organised crime ring. 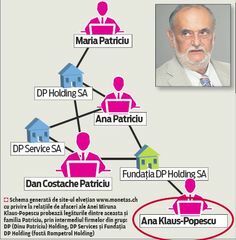 Patriciu was accused of being involved, as CEO of Rompetrol, in a case of embezzlement in 1999-2001. The company misappropriated an amount of $85 million that were owed to the state budget under EPSA agreements. The 570 million € debt of Rompetrol to the Romanian state was converted in 2003 into bonds by the Adrian Năstase Government. In 2014, the Victor Ponta government erased the debt. In May 2006, following an interrogation, Dinu Patriciu was arrested for 24 hours, being accused of tax evasion, money laundering and fraud. 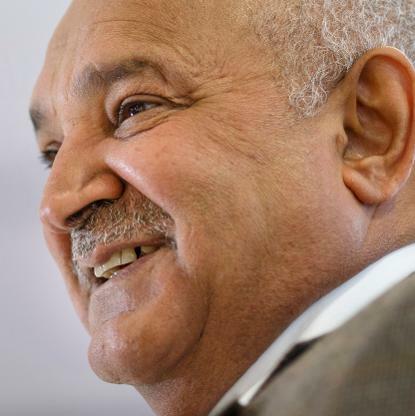 He was freed at the end of the 24 hours, as the judges refused to extend the warrant requested by the prosecutors. Patriciu accused the prosecutors of "serving a reactionary interest group represented by General Ioan Talpeș and former President Ion Iliescu". The Prosecutors&apos; Body issued a communiqué in which they decried "a gross interference of political parties in the case", arguing that "the fight against corruption must be carried to the end". In 2007, President Traian Băsescu accused the then-Prime Minister Călin Popescu-Tăriceanu of sending him a note in 2005 asking to influence the political investigations of Dinu Patriciu, an ally of Popescu-Tăriceanu. Băsescu said that he did not make the note public earlier because he wanted not to derail the negotiations for the EU admission. The Prime-Minister admitted he sent the note, but claimed he just wanted that the President make sure that investigations were carried out correctly. 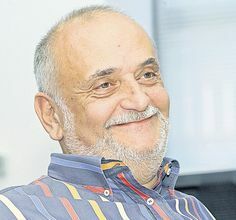 A support of right-libertarian politics, Patriciu was a long-time member of the National Liberal Party. During the 2009 Romanian presidential election, Patriciu released a video which President Băsescu appeared to hit a boy; Traian Băsescu sued for libel and won. Patriciu was diagnosed with cirrhosis and he underwent a liver transplant in Milan in 2012. He was later diagnosed with lymphoma. Patriciu died on 19 August 2014, aged 64 at the Royal Free Hospital in London due to a lung infection after spending several days in hospital. He was buried in the Bucharest Bellu cemetery, in a private ceremony.